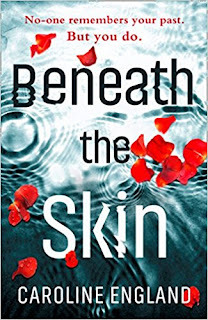 Secrets and lies are always a sure-fire winner when it comes to psychological suspense and, my goodness, does Caroline England’s domestic noir novel Beneath the Skin have plenty of both. The book revolves around four couples who live in the fertile heartland of the Cheshire countryside, four couples whose histories weave and collide, eight people all with secrets that could blow their lives apart. To the outside world, Antonia is perfect - beautiful, happily married, flawless. So why does she cut her arms with a razor blade? Her friend Sophie is fun, smart. She likes a drink - who doesn’t? She is married to the best-looking man in town, Sami. Sami is one of the good guys - isn't he? Then there’s Antonia’s husband David. He would never do anything wrong - would he? And Mike and Olivia and Charlie and Helen. Their lives are normal, no secrets behind their closed doors. Surely? Little by little, Caroline England’s delicious writing peels away the layers of the four couples’ lives to reveal their rotten cores in this slow-burning and ultimately rewarding novel. The characters shine and leap off the page and we become completely immersed in their deception and lies. Some will have their lives changed irrevocably, others less so. But all will be changed. And it is fascinating to see who emerges the least scathed. 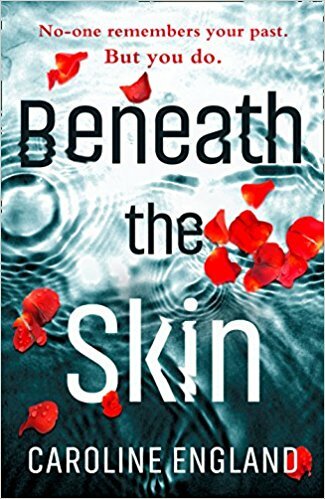 Beneath The Skin doesn't follow the classical psychological suspense/thriller template (if there is such a thing), but surprises us in so many ways, with its interwoven threads, multiple viewpoints and believable characters. Caroline England has a great insight into human behaviour with all its frailties, making this a very intelligent book indeed. Caroline England was born in Yorkshire. She studied Law at the University of Manchester and stayed over the border. Caroline was a divorce and professional indemnity lawyer and instigated her jottings when she deserted the law to bring up her three lovely daughters. In addition to the publication of her short story collection, Watching Horsepats Feed the Roses by ACHUKAbooks, Caroline has had short stories and poems published in a variety of literary publications and anthologies. 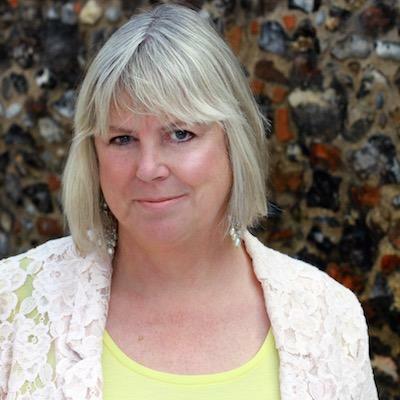 She was shortlisted for the Impress Prize 2015, in the Pulp Idol 2016 finals and long listed for the UK Novel Writing Competition 2017. Her debut novel, Beneath the Skin, will be published by Avon HarperCollins on 5 October 2017.